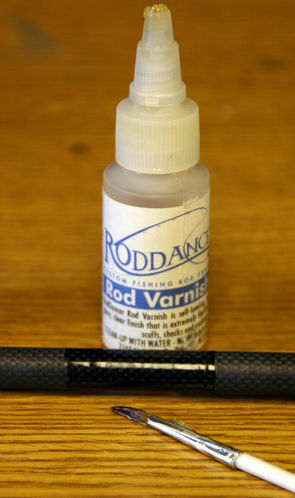 RodDancer Rod Varnish supplied in 1oz dropper bottles. 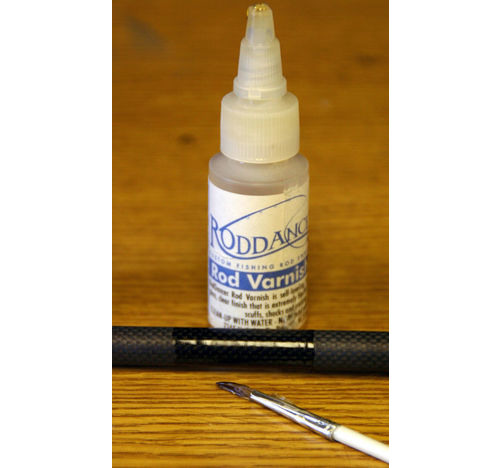 This Varnish is self-leveling, producing a gloss clear finish that is extremely flexible and resistant to scuffs, shocks and cracking. "Easy to use/apply. 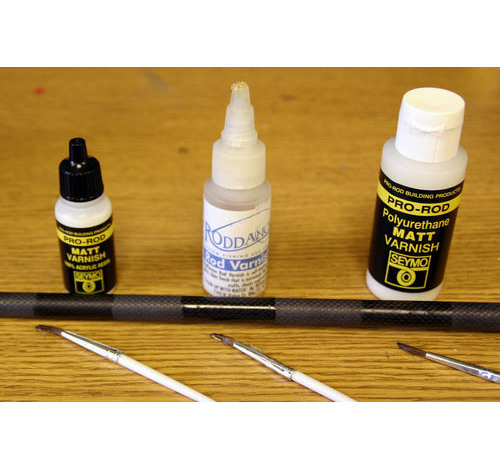 Do not apply thick coats – multi thin coats best. Easy clean up with water."